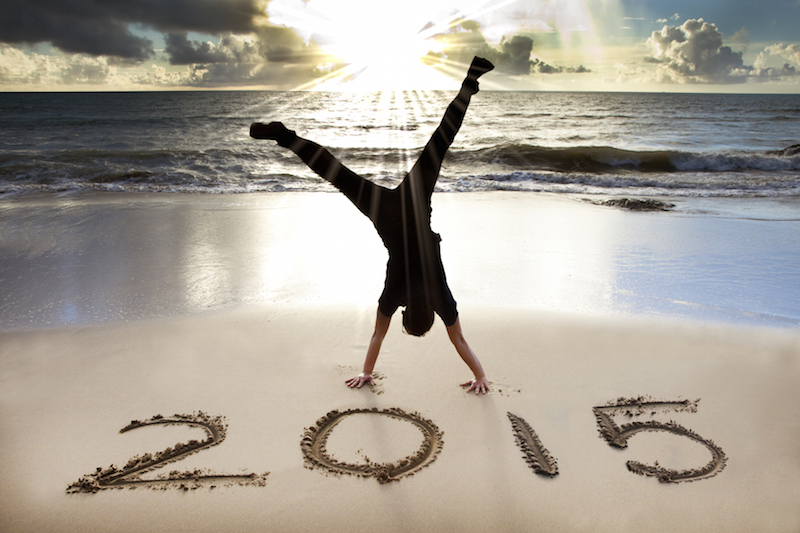 January Means it’s Time to Get a Head Start on What You Want for 2015! I presume for a lot you reading this, acting is your dream. It’s the thing that stirs your soul and makes you feel alive. It’s your passion and what you’re hoping will one day be your full time job and lead to a very exciting and fulfilling career. Firstly, I commend you for being courageous and deciding to walk the path of your dream. For a lot of people, their dreams remain ideas, things they talk about but never really take action towards; they remain as pictures they drew in elementary school of what they wanted to do when they grew up, but fear got the best of them and they took the safe route. But if you’re reading this article, you’ve probably already done the hardest part — commit yourself to walking the path of your dream, no matter where it may lead you. Dreams are big and scary, and sometimes hard to imagine that they could possibly come true, so how do you deal with their sheer vastness in a way that makes them seem more manageable? 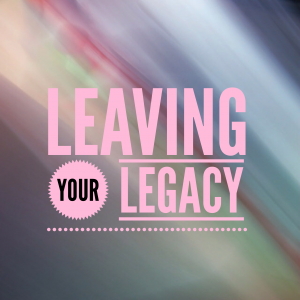 Identify What You Want Your Legacy To Be. This is a very important question to ask yourself before you walk fearlessly in the direction of a large goal or dream. What do you want to be remembered for? This really breaks down and clarifies why you want to achieve this dream. You will know that your dream is in line with your truest self if your big goal is in perfect alignment with what you want to be remembered for as a person, what you want people to think or say when your name comes up. You should write your legacy down on paper, so the driving force behind the pursuit of this dream will become permanently etched into your mind and what fuels your motivation. So do you want to be remembered for making people laugh? For making great movies? For being one of the best dramatic actors to ever live? It’s important that you nail this down so this dream of yours can have some context and purpose towards what you desire in your life. 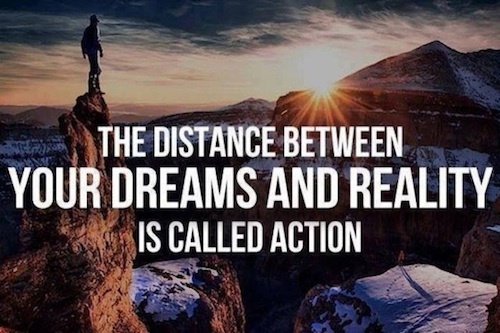 I believe this is absolutely the most important grass roots step in the pursuit of a big goal or dream. A dream becomes a goal when it’s put down on paper, but it’s just some fantasy or fairy tale when it’s kept in all wishy washy in your mind. You have to put a VERY SPECIFIC goal down on paper and then break down the necessary steps to arriving at that specific goal. You will have to break the path to your goal down into specific parts, by creating short-term and long-term goals. Your short-term goals will definitely change as you complete them, or other things come up, but your long-term goal will be the guiding force in your life. The most successful 1% of the population sets goals and the most successful 0.1% of that 1% reads and updates their goals regularly (Source: Brian Tracy). So by making an active choice to set goals, read them every day, and update them once a month, you’re already setting yourself up for massive success. To add to your goal setting regiment, you need to spend some time visualizing your goals coming to fruition. Visualize your world after you achieve your biggest goal — picture how you’re feeling, the excitement and contentment that you feel inside, how happy and inspired others around you are, and generally, just how fulfilled you feel. Goal setting and regular visualization are going to be the seeds that not only help your dreams grow, but help to make you believe that you can actually accomplish them. Surround Yourself With People On A Similar Path. Find people that support you. You may have people that you’ve been friends with for a long time, but you reach a point where it becomes perfectly clear that you’re headed down completely different paths. They begin to take you away from your goals by not supporting you, or believing that you can actually accomplish the things you’re setting out to do. You don’t need to completely remove these people from your life (you have all the history with them) but you do need to manage how much of an influence they will have on you. You won’t be able to see them every single weekend, as you will continuously get discouraged because they keep badgering you, “When are you going to get a real job? 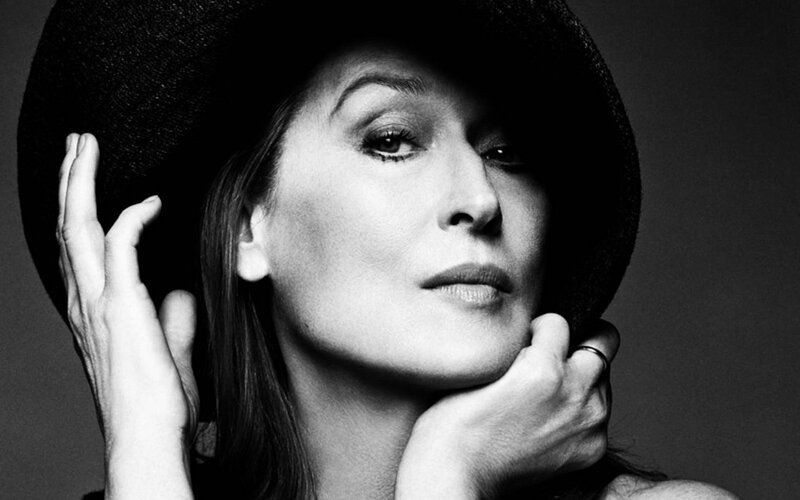 Are you still trying to pursue the acting thing?” Trying to become an actor, or artist and someone who’s successful in the entertainment industry is a very long and exhausting road — something that someone who doesn’t work in the industry won’t understand (particularly if they work in the corporate world or a standard 9-5 job). This is why it’s very important that you create a circle of actor friends, or friends that work in the industry that you’re pursing a career in. This way you will have people to bounce ideas off, as well as people that just generally support you and believe that you can accomplish your dream. They will be able to spot the talent in you, the drive, and all the potential you have to do everything you’re trying to do. These are the people that you will probably connect with the most and be the most like-minded with, but mostly, they will help bring you closer to your goals. They will probably know people and be able to put you in touch with people who will help you to get ahead in your career. If you don’t have any friends that have the same dream as you, or work in the industry you’re trying to get into, then you really need to make some changes to who you are hanging out with if you’re serious about accomplishing your dream. Welcome failure into your life. This is the hardest one to accept, but it’s one of the most important. One of the greatest pre-requisites for success is failure. This is definitely true for entrepreneurs, as well as artists. The only way you’re going to get better, improve your technique and strategy, is by failing thousands of times. Success comes with a price, through a series of failures that you live through and overcome to create something better. You just have to have the endurance, patience, and persistence to understand that with every failure you go through, you’re getting closer to your big break, or opportunity for everything to turn around in your favour. 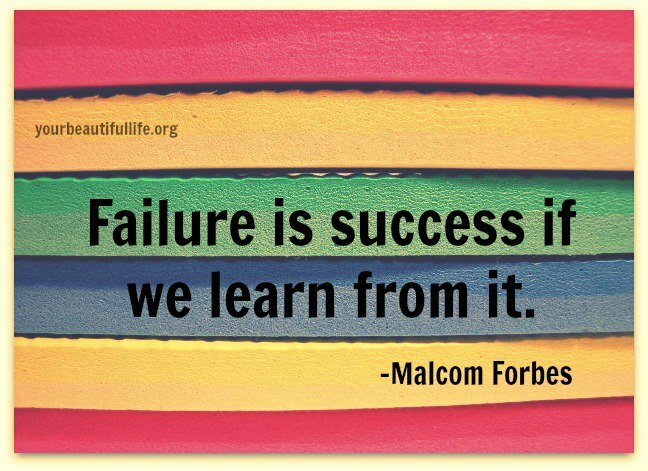 Failure also makes success feels warranted, making you feel like you’ve earned everything that’s come your way. You don’t want to become hugely successful without feeling like you’ve gone through the gauntlet of struggle. The feeling of triumph will be completely squashed by the fact you feel like someone that just got lucky, instead of having earned every inch that came your way. So welcome failure into your life. You’re the one who decided to chase a dream, which means you chose to walk a path of criticism and skepticism from others, as well as path that will force you to walk into the fear of the unknown being judged every step of the way by people who want to bring you down. 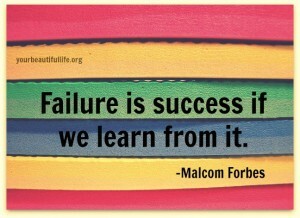 Failure is your friend, welcome it, and learn from it. Follow the stories of the key players in your industry. Your dream is to become an actor, so my first piece of advice is to read every single biography of every actor that inspires you. If they have a biography book, go buy their book and take every word to heart. I would suggest that you watch shows such as Inside the Actor’s Studio and note the stories of how the actors got to be at the level they are at now, as well as their words of wisdom for beginning actors starting out in the industry. I would also suggest that you watch as many interviews as you can from actors who you respect and look up to for how they get into character for each role they play, and what they’ve learned from peers in their industry whom they respect. Just as a writer should study the work of the writers they most admire, you have to study the bodies of work of the best actors in the game. That way you can find certain things about their preparation methods, or course they took to success that you can try and mirror in your own career. For these are the actors and people who you aspire to be like, as well as hope to have a career that will be even just a slight semblance of. I know from my own experiences that choosing to chase a dream is a tough thing to fully commit to, but once you do, you’re on your way. You are finally on the path that you’re intended to be on. However long it took you to get here, it doesn’t matter, because you’ve arrived and are now ready to make any sacrifice necessary to make things happen for yourself. That’s a huge turning point and something that you should feel good about. Just be prepared that along the way there will be endless obstacles, but if you make a conscious choice to overcome absolutely everything that comes in front of you and your dream, your success will happen, it’s just a matter of when. In order to achieve a dream, you first have to completely surrender to it; you have to tell yourself that you’re at mercy to this path, wherever it may lead you. That’s because you love it, how it makes you feel inside, it’s something you can’t describe or properly put into words, you’re guided by a purpose, something greater than yourself.